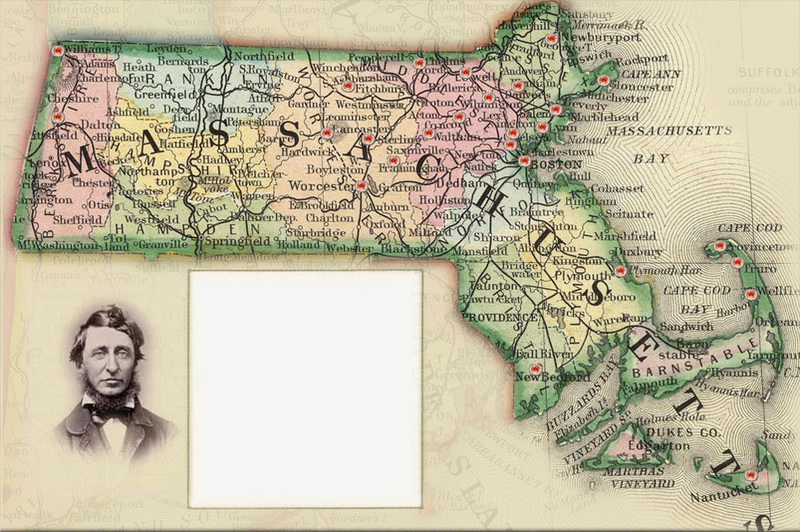 This site uses historical maps to organize and interpret documentary materials related to Thoreau's travels throughout Massachusetts. Clicking on the red map pins will open pages containing notes, images, quotes, and links to additional resources on Thoreau's contributions to American political, social, economic, and environmental thought. To view Thoreau's adventures in cartography, please click on Thoreau's Maps at the top of this page. In 1851, Thoreau lectured here in response to an invitation from the Bigelow Charitable Mechanics Institute.